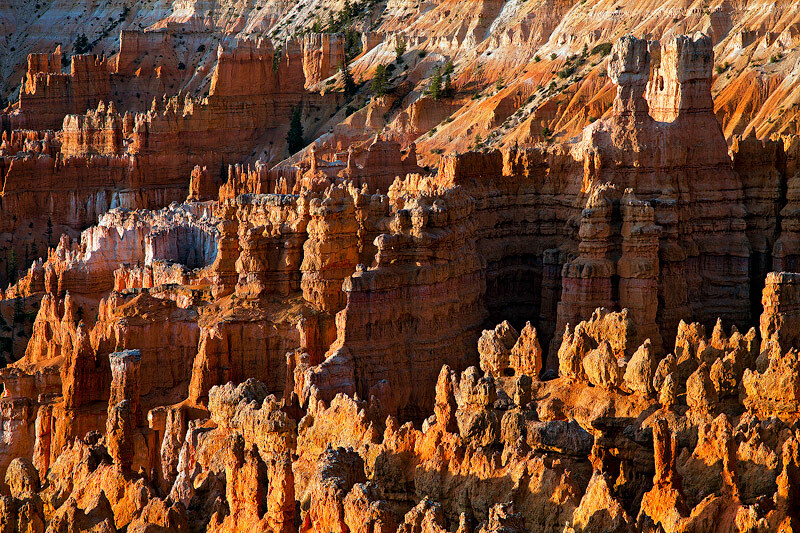 Clusters of hoodoos make up an area called Silent City in Bryce Canyon National Park, UT. This scene was taken just after sunrise as the sandstone formations glow with electricity. The large formation in the upper right corner of the image is called Thor's Hammer. Photo © copyright by Michael Greene.